The disconnected undercut looks highly defined and extremely posh. Your hair type doesn’t make much difference because this haircut compliments almost everybody. Guys who choose to wear it are always considered stylish, elegant and head-turning. They make people’s hearts race and take their breath away. By combining the stately pompadour with the refined quaff, this hairstyle makes a real breakthrough in the world of the men’s haircuts. So, what is a disconnected undercut? 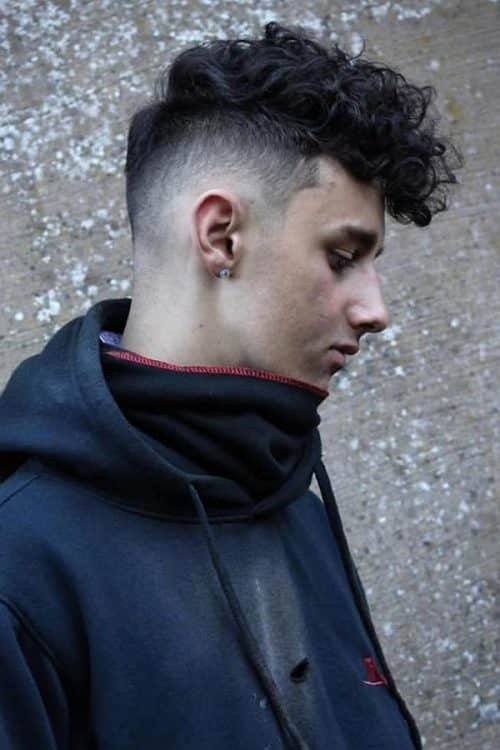 Basically, this is the type of the mens undercut where the sides of the head look “disconnected” from the top hair. The thing is the longer top hair doesn’t have a smooth transition to the short side hair, which gives this abrupt effect. More often, there is even a noticeable line that marks the end of the top hair and the beginning of the side hair. No wonder that it’s become the undercut hairstyle men highly appreciate and go for over and over again. 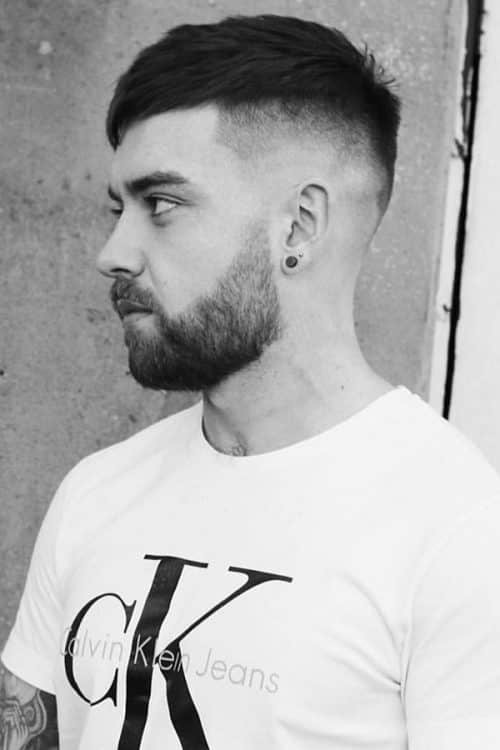 To get the mens disconnected undercut, your hair should be long enough to achieve the desired effect. Make sure that you have at least 2 inches on top of your head to make the contrast between the top and side hair striking. Use the clippers to give the hair on your sides a classic undercut. As for the hair on top, you don’t need to cut it at all – just brush it back and it’s done. What actually creates the contrast is the pompadour blended with the quiff. After washing your hair, dry it with a towel. Use the blow drier in the direction from the back to the front. Run some wax or pomade through the top of your hair. Take a brush and run it against the grain of your hair to create the volume. N.B. If you don’t want a bulky top, skip this step. Sweep your hair back either with fingers for a messier look or with a brush for a sleeker look. The disconnected undercut is very versatile, and it can be tricky to choose the right hairstyle for you. However, with our guidance, we are sure you’ll manage to pick the cut that will compliment you the most. Are you looking for some nice man haircuts? We have a really good option for you. The sides are buzzed cut and the top is styled the same way as the undercut comb over would be. But the top hair is flipped up at the forehead instead of being slicked. 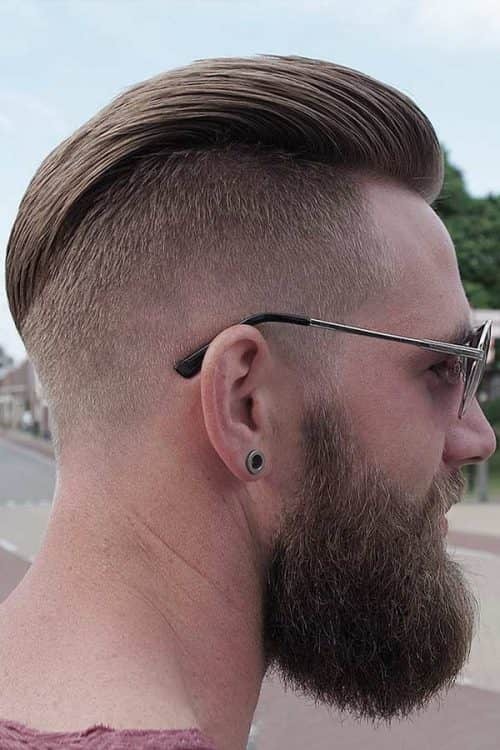 In this haircut undercut is really defined with a line of quite long hair on one side and a beard on the other side. 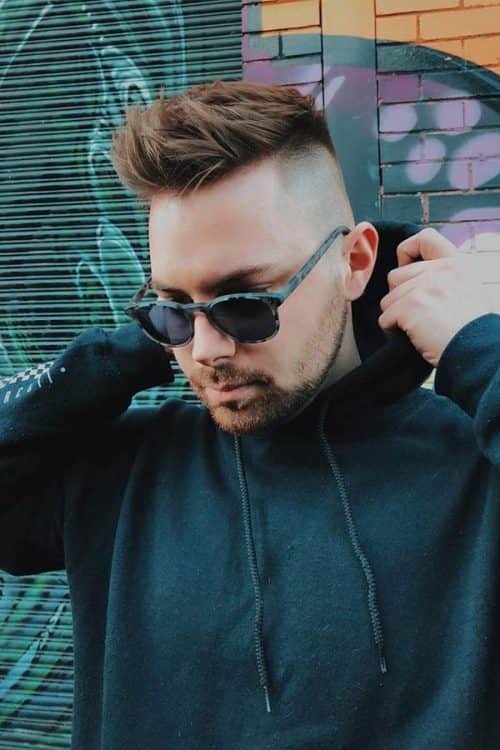 Going for some more hairstyles with an undercut and beard? Try out this casual yet trendy look. You can make the top hair tapered, which will bring some natural flair to the look, or leave it even. Don’t go too wild with the sides and back of your head. Just give them some simple buzzed haircuts and style the pomp in a slicked back manner. 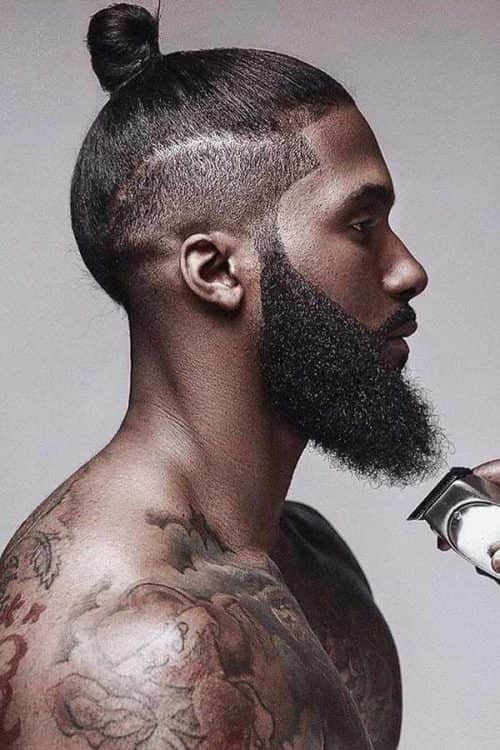 The full beard adds greatly to the look, so don’t let the haircut drag all attention. Curly hair makes almost all of the hair cut styles stand out. The disconnected long undercut is no exception. To create this look, grab some hair styling product and rub it through until your hair is textured. We bet you’re the guy who strives for some really cool undercuts. What’s cooler than a disconnected undercut faux hawk? It’s actually hard to tell. Note that the sides should be very short and clean so that the crest could have it all. 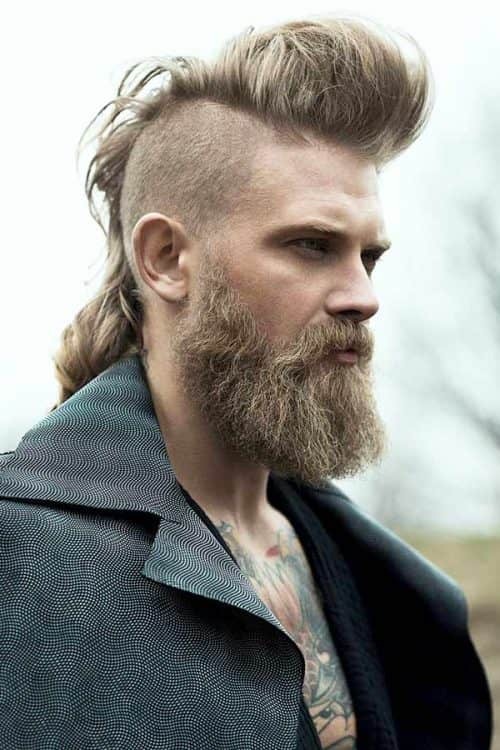 To move this look to the high-end men undercut styles, pair the Mohawk with a beard. Sometimes, you don’t feel like doing something sophisticated on your head. A plain short undercut is the best you can do today? Don’t get upset too soon. You can still look stylish by simply adding a low surgical part to either side. A side cutting hairstyle looks utterly startling and fancy, which will definitely cheer you up. Have you ever noticed how swanky a black hair undercut can be? Sure you have. Even though it is rather hard to manage, a black disconnected undercut is definitely worth the effort. 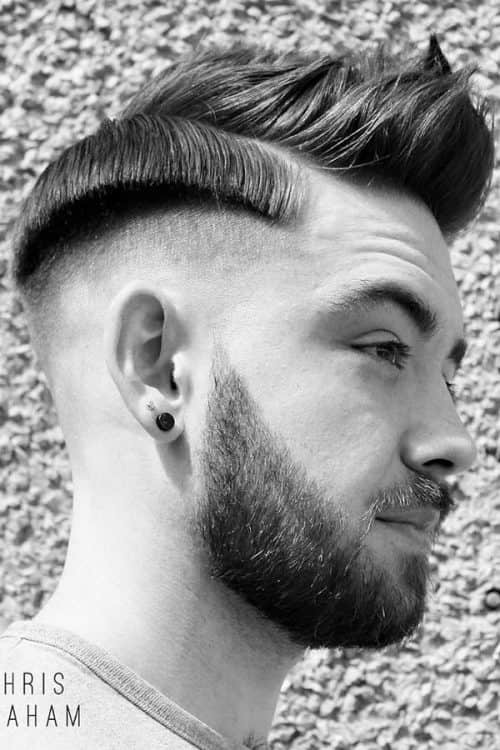 While the undercut goes high low fade perfectly balances the look. As you already have a disconnected element in your look, it would be better not to separate the beard from the sideburns. This undercut haircut is probably a more civil and breezy version of the military high and tight cut. 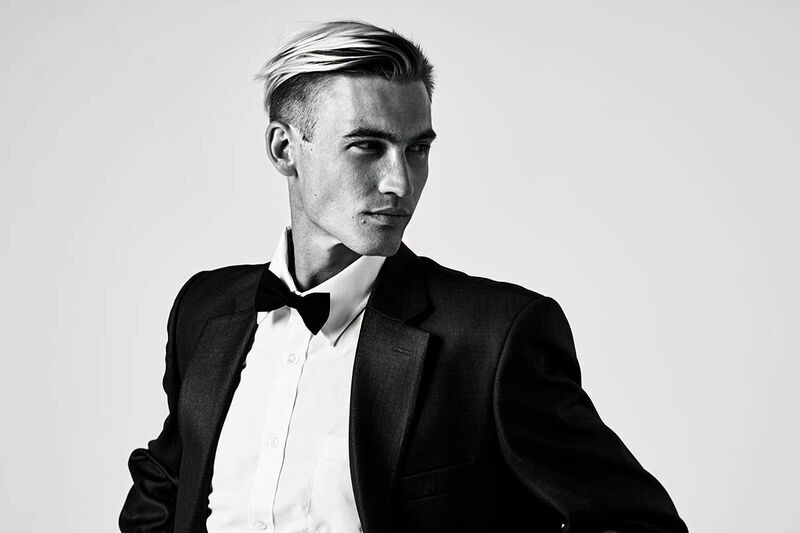 Although the hair on top of your head is of equal length, it’s much longer than the traditional haircut suggests. So, your task is just to style it the way you like. We recommend brushing the top of your disconnected undercut back, using your fingers. For the textured effect, dip them into the hair styling product beforehand. If you like living on the edge, the undercut with a zero fade and a high top is made for you. 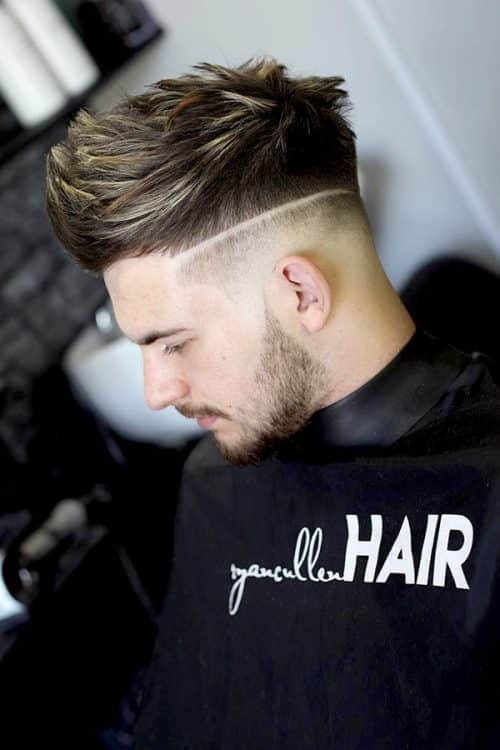 This undercut mens haircut takes the most advantage of the clean sides and a messy flip up crown. Don’t forget to use some light hair styling product to secure the quiff in its place. crown. Keep the sides and back short and even though. 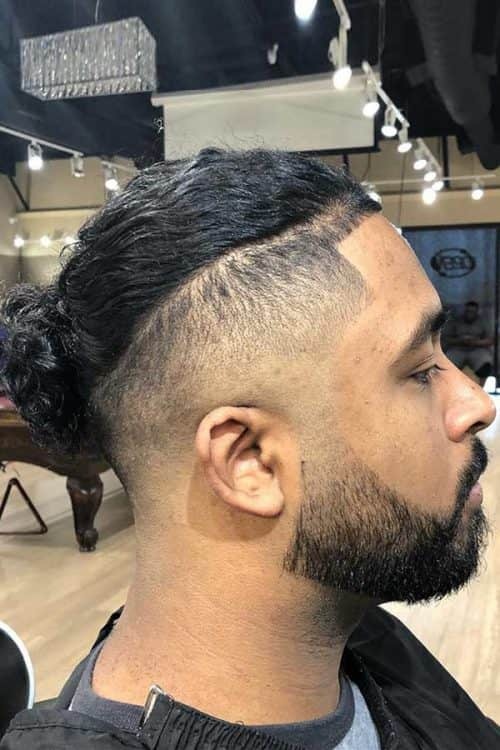 This is the kind of a disconnected undercut hairstyle men would rarely dare to try. However, it is the quintessence of all the mens haircuts shaved sides long top type. The hair on the top of your head should be long enough to give you the chance to run wild. Braid the hair all the way down the crest and leave the ends loose. Accentuate the haircut with a line-up around the forehead and a nifty design on the sides. The disconnected undercut is a timeless hairdo that is definitely here to stay. The possibilities to style your hair with it are endless. You can stick to one look or try all of them. No doubt, this is the haircut that is worth a shot.